Clean and cut ladies finger into small pieces. Combine grated coconut, onion, green chilli, salt and turmeric powder with your hands and keep aside. 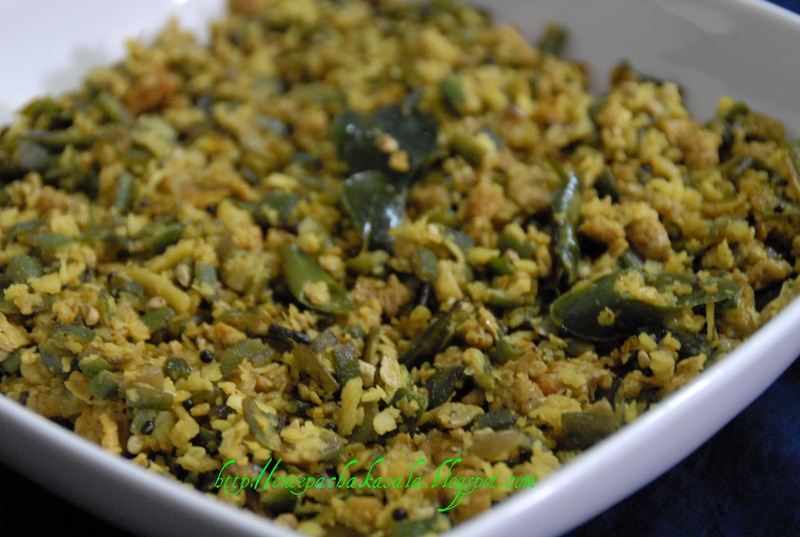 Heat oil in a pan,add mustard seeds and allow to splutter, add curry leaves and fry for 1 minute. Add ladies finger and saute for 5 minutes uncovered. 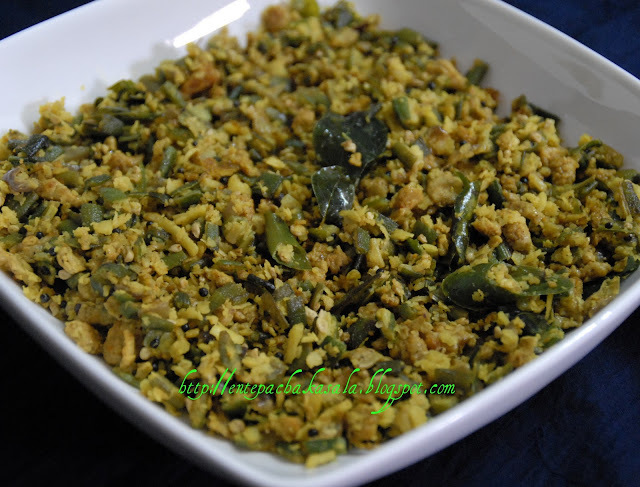 Add coconut mixture to this, Cover and cook for 3-4 minutes. Beat egg with salt and pepper powder. Make a small space in the centre, add beaten egg to this and stir well. Cover and cook for another 1-2 minutes. Remove from fire. Serve hot. Jaisy this is just wow--never heard of this combo and it looks yum ! it is bookmarked ! An unusual combo & looks too delicious!! Thank u for dropping by n ur lovely comments.. Happy new year to u too!! Easy and yummy! Love your click too..
whoa, what a great looking dish. Such a unique combo..looks wonderful ! wow, love it dear, very new, never heard of vendakka thoran. Wat a delicious combo, soo yummy..